You’ve probably spotted these in your grocery store checkout line. I lovingly call this section “the impulse buy section,” since it’s usually where I end up grabbing a candy bar or two (or three, or four, or five. But who’s counting, anyway?). A handful of candy bars won’t hurt (well, at least that’s what I try to convince my dentist), but those few extra dollars add up! Now that I’m saving up for my first semester at college, I’m definitely trying to cut down on spending. But I’m reluctant to part with my chocaholic habits, which is why I’ve come up with this easy copycat recipe for one of the richest chocolate bars I know. For the same amount of money you’d spend on one or two candy bars, you can make an entire batch for the whole month. 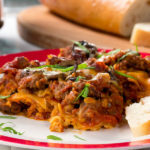 Click here for full recipe ingredients and instructions! Step One: Gather your ingredients. 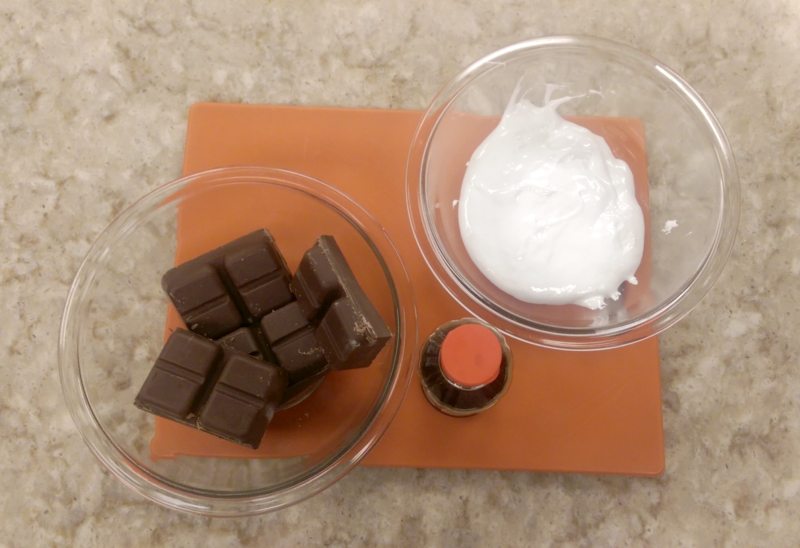 Just like the Gimme a Break Bars I shared last week, you only need three ingredients to make these – a chocolate baking bar, marshmallow crème, and vanilla extract. 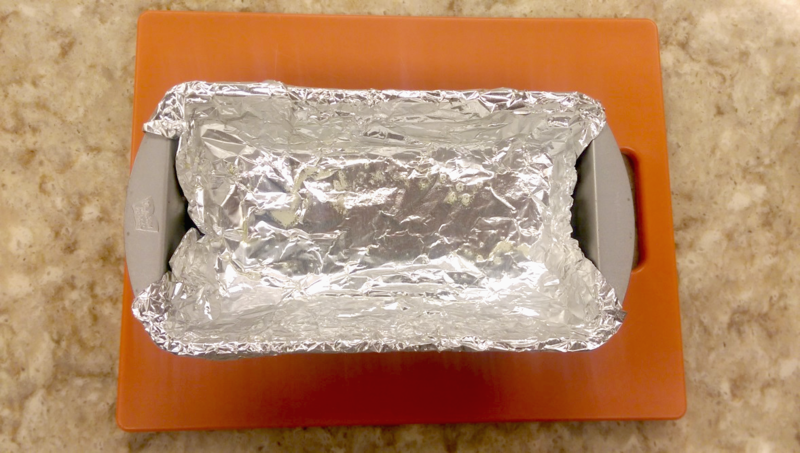 Step Two: Line a 9- x 5-inch loaf pan with foil, letting some of it hang over so you can easily take out the chocolate later on. Spray the foil with cooking spray. 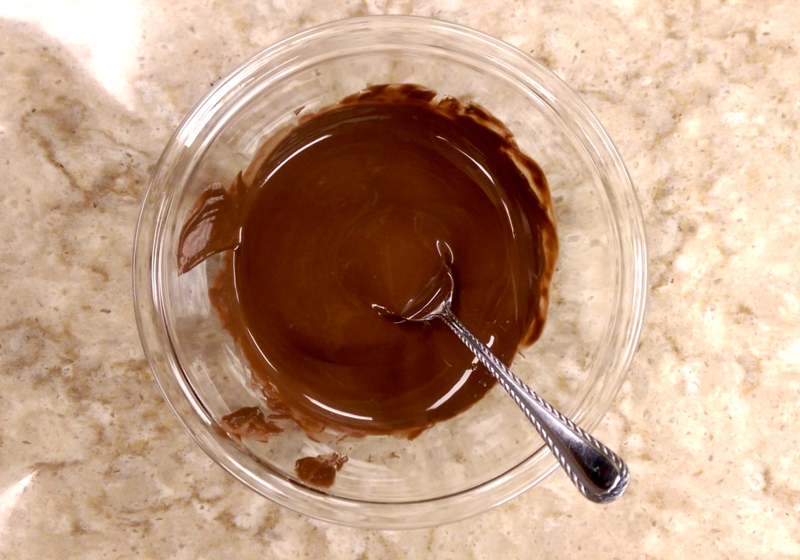 Step Three: Take half of the chocolate and melt by microwaving for 30 seconds, stirring and repeating until smooth. If it needs more than 30 seconds to get melty, continue microwaving in 10 second intervals. (Don’t forget to stir in between!) In a separate bowl, do the same with the marshmallow crème. Not pictured: separate bowl of marshmallow crème. 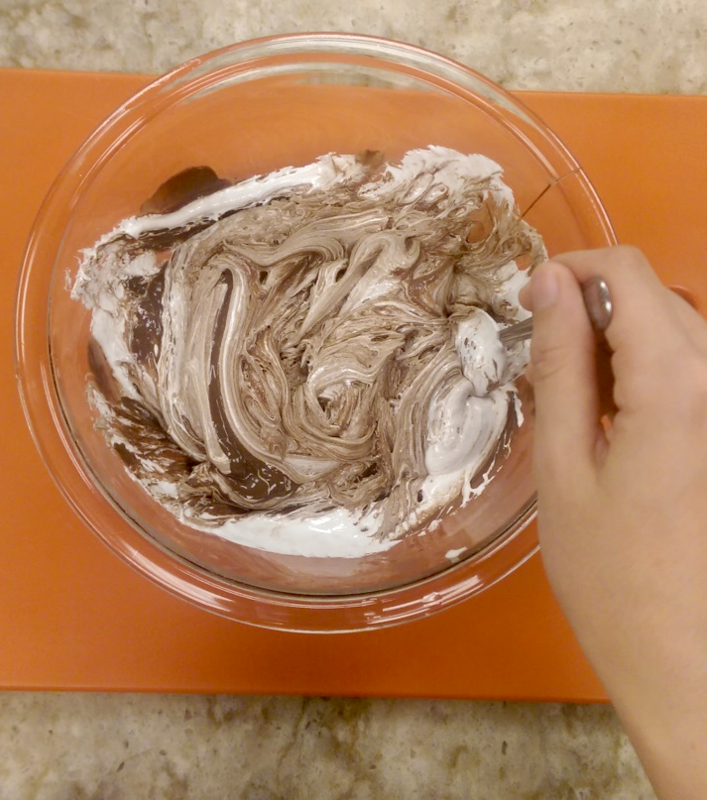 Step Four: Once everything’s smooth, stir the marshmallow crème into the chocolate. Add a teaspoon of vanilla extract to give every bite an extra oomph. Stir the ingredients until combined and spread the mixture into the pan. Step Five: Freeze for 30 minutes, or until the mixture is firm. 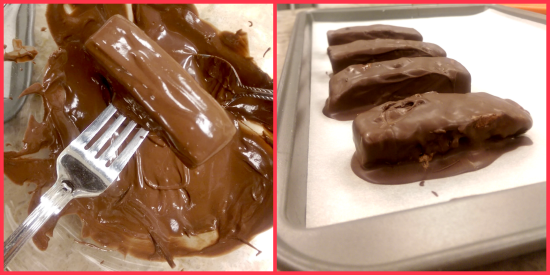 Once you’ve taken it out, use the foil “handles” to lift out the chocolate and flip onto a cutting board. 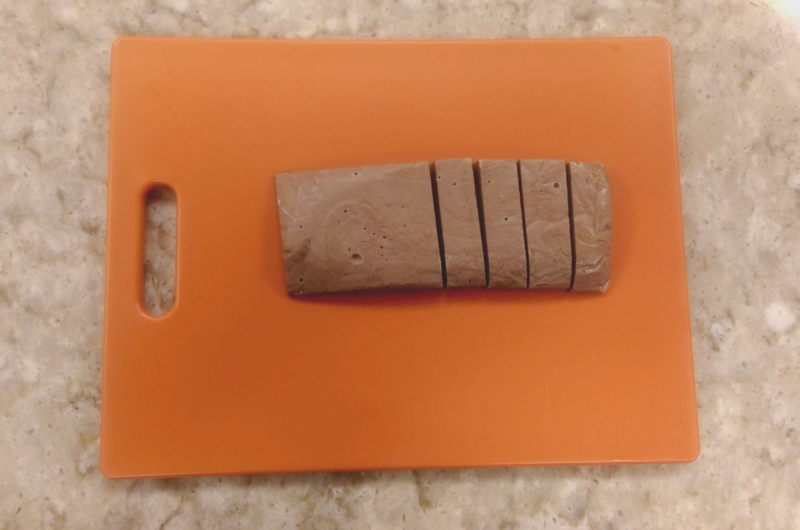 Cut into serving-sized bars, trimming the edges if necessary. Step Six: Line a baking sheet with parchment paper. This is where you’ll lay your whipped bars down after you’ve dipped them in chocolate. 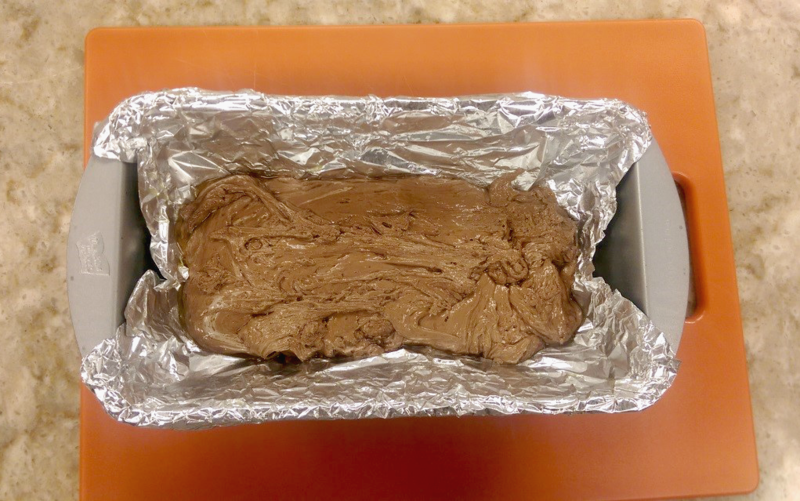 Melt the remaining chocolate in the microwave, following the same 30-second rule. Then, place each candy bar, one at a time, into the melted chocolate. Coat completely and lift out with a fork, shaking off any excess chocolate as you do this. Set them down on your baking sheet when you’re done. Step Seven: Place them in the refrigerator to set, about 5 minutes. Once they’re ready, trim off the chocolate edges using a knife. 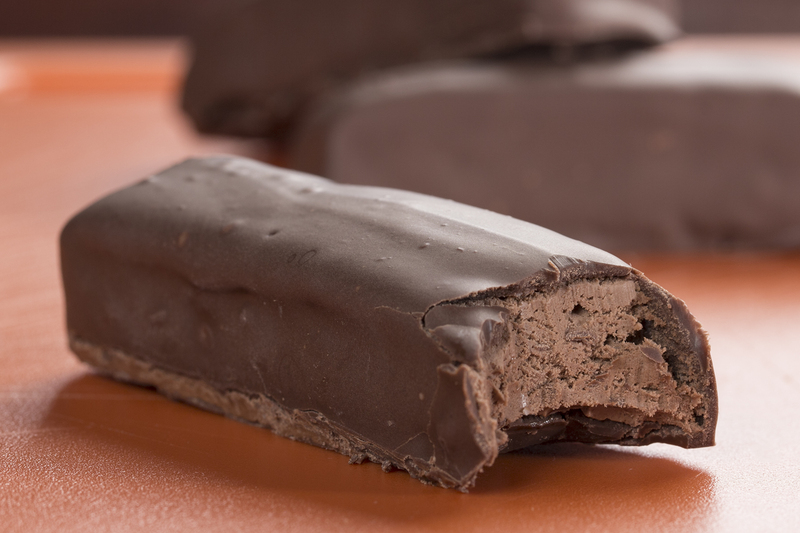 You’re left with a chocolate bar that’s much richer than anything you’d get at the store! Now that you know how to make this basic version, you can experiment with variations! A little vanilla extract goes a long way in our basic recipe, but what about mixing in some peppermint extract? Personally, I’m excited to try out strawberry extract the next time I get ready to make these! 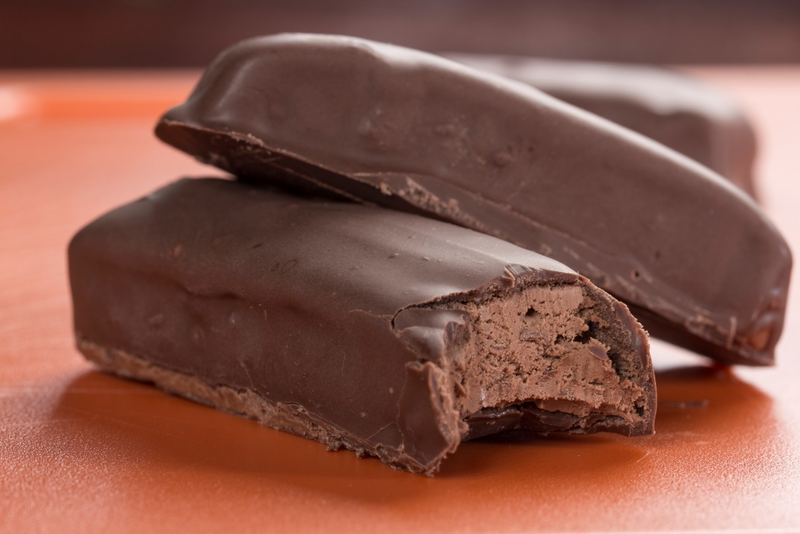 You can even top them with fruit, nuts, or even syrup to give your chocolate bars a little extra somethin’. 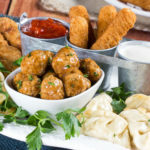 Just make sure to add the topping right after you dip ‘em so that it sticks to the coating. Don’t forget to store these candy bars inside an airtight container to avoid discoloration and keep them tasting delicious! Im definitely going to give this a try! Great! We’d all love to hear how they turn out for you! Growing up, I was always a fan of milk chocolate. However, now that I’m a little older and a lot wiser, I’m a dark chocolate consumer thanks to the health benefits — it has lots of antioxidants. I’d definitely say that it’s an acquired taste, but once you get used to the unique flavor… the yummy factor is endless. How much marshmallow cream do you need for this recipe? Thanks. Some of the steps are missing and I’m so confused? What am I supposed to do between Steps 5 and 7!? Sorry about that! There were no missing steps, just mislabeled steps. 🙂 We’ve fixed the post now. Thank you for making us aware!